Just got home from work and have to make dinner!? Have no fear! 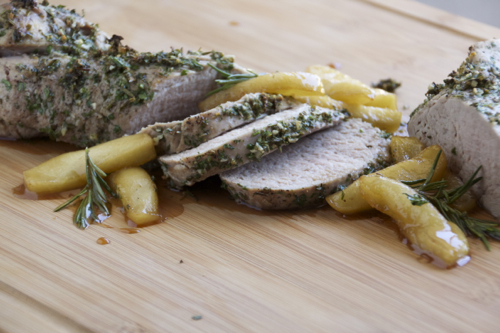 This Herb Crusted Pork Tenderloin has only 5 ingredients and will be ready in minutes! I have to say working full time and being married is not easy when you have to come home and make dinner. No one wants to spend hours in the kitchen cooking after a long day of work. I know I don’t! And cooking is my job!! With that said, the oven has become my best friend. It cooks everything for me! I just throw some ingredients together, put it in and voilà, dinner is ready! You just need 5 ingredients to get this recipe going, even if you don’t have one of the herbs listed, its ok, just use whatever you have. 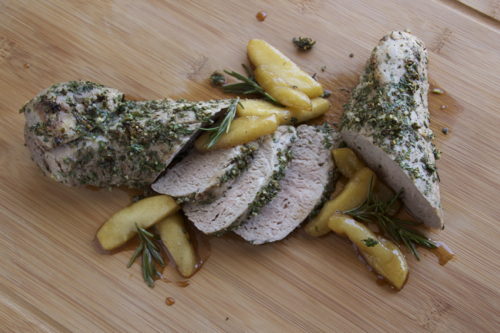 If you are feeling up to the challenge, serve your pork tenderloin with my mouth-watering Caramelized Rosemary Apples! 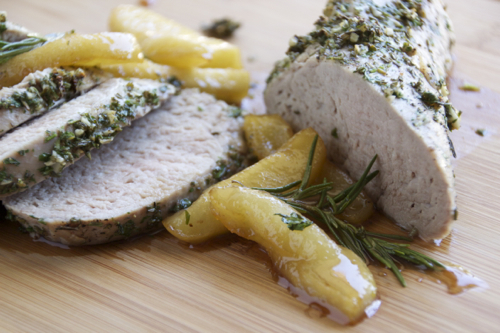 The apples pair very nicely with the pork and make the dish complete! The recipe follows after the loin recipe. 2. Season the tenderloin with salt and pepper. 3. 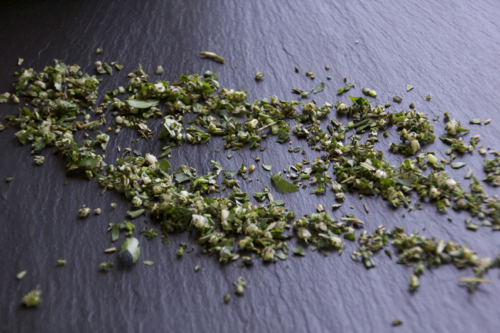 Place the parsley, thyme, rosemary and garlic in a bowl and combine. 4. 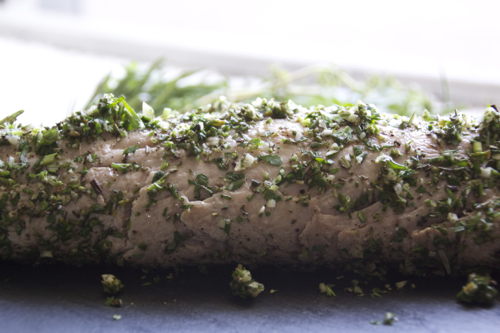 Place the mixed herbs on a cutting board and roll the tenderloin in it until it is all coated. 5. 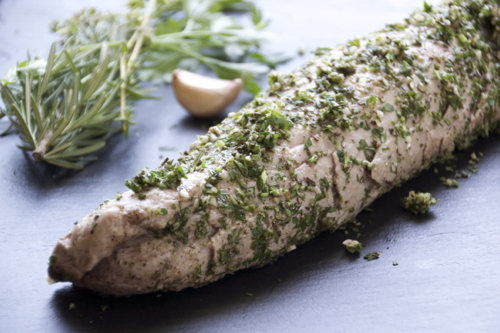 Place the crusted tenderloin on a greased foil-lined baking sheet. 6. Roast for 20-25 minutes until the internal temperature is 140 F.
7. Allow the loin to rest for 5 minutes. 8. Carve into slices & serve. 1. Heat 2 tbsp of butter and brown sugar in a large sauté pan over medium high heat. 2. With a wooden spoon, stir mixture until combined. 3. Cook mixture for 30 seconds without stirring until it starts to bubble. 4. Toss in the apples and rosemary and stir to combine. 5. Cook another minute until the apples are tender. *If the mixture is a little watery, remove the apples and keep cooking the liquid until it thickens. The cream is added not only for flavor to but to stop the apples from over cooking.